Professional formula enriched with a UV filter and Aloe Vera extract to deeply heal the hair fiber. The formula leaves the hair fiber feeling replenished and smooth. 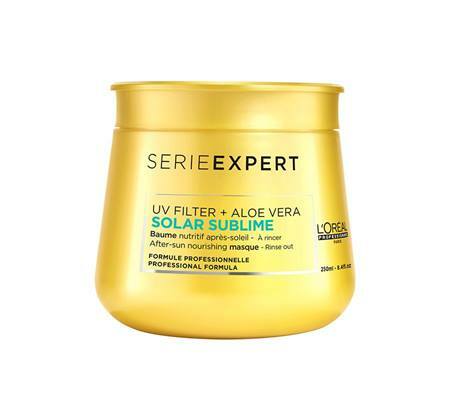 Formula developed to counteract the drying effects of sun, salt and chlorine.